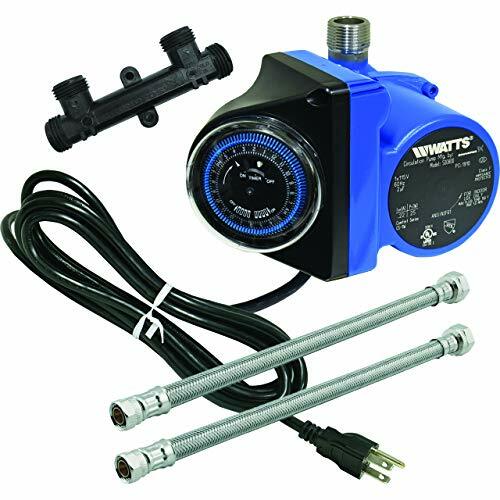 Today we are going to review the Watts 500800 hot water recirculation pump. I get pretty tired of waiting for hot water whenever I’m trying to wash my hands or take a shower. Especially in the winter months when the water is ice cold coming from the tap. And in my opinion, dumping gallons of water down the drain is not an effective water conservation strategy in drought stricken areas.